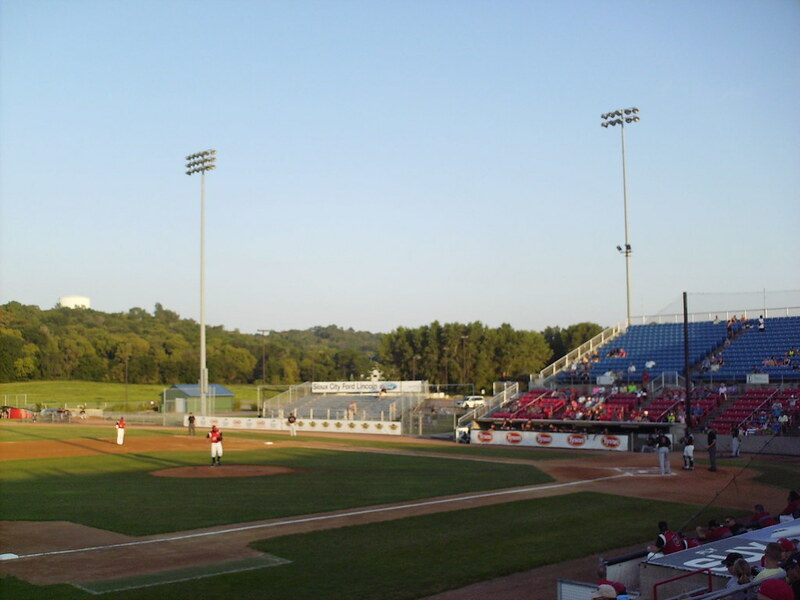 The view from behind home plate at Lewis & Clark Park. 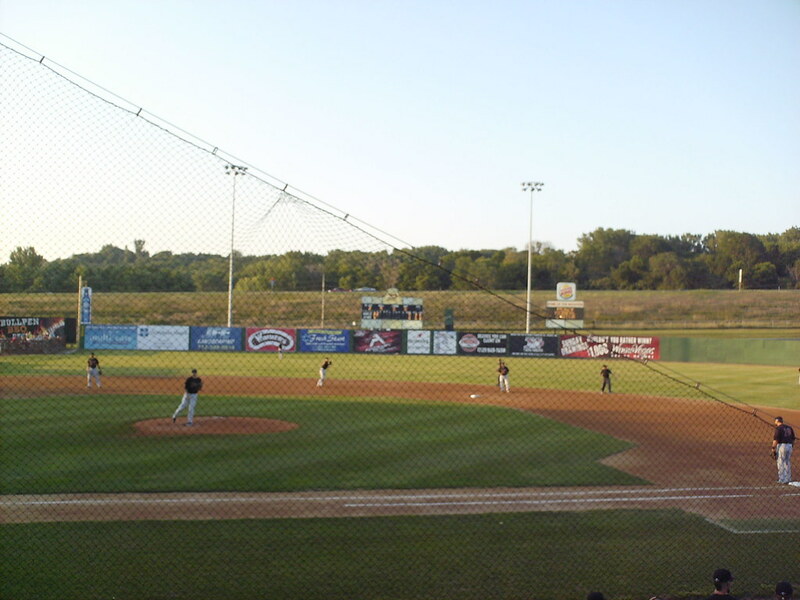 The grandstand at Lewis & Clark Park, as seen from the left field corner. 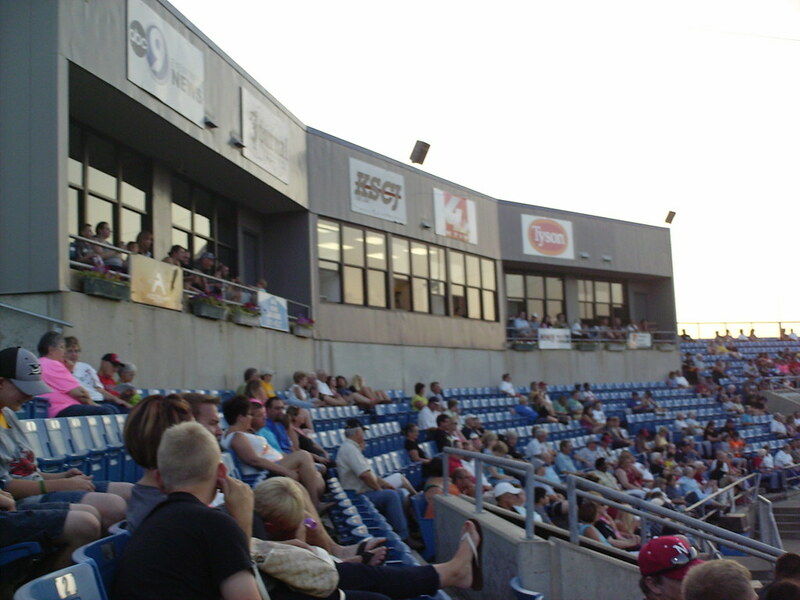 The pressbox and several luxury suites sit perched on top of the seating bowl behind home plate. 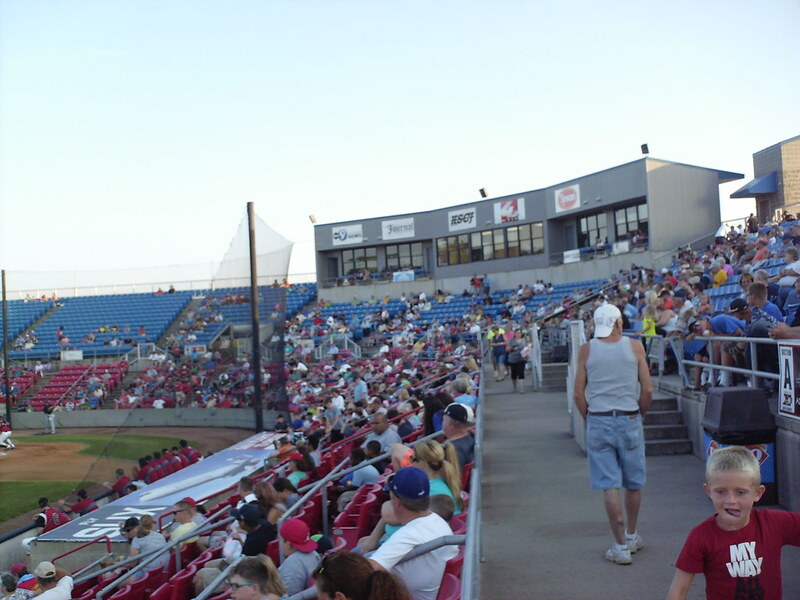 The grandstand features red seating closer to the field, with blue seating above. 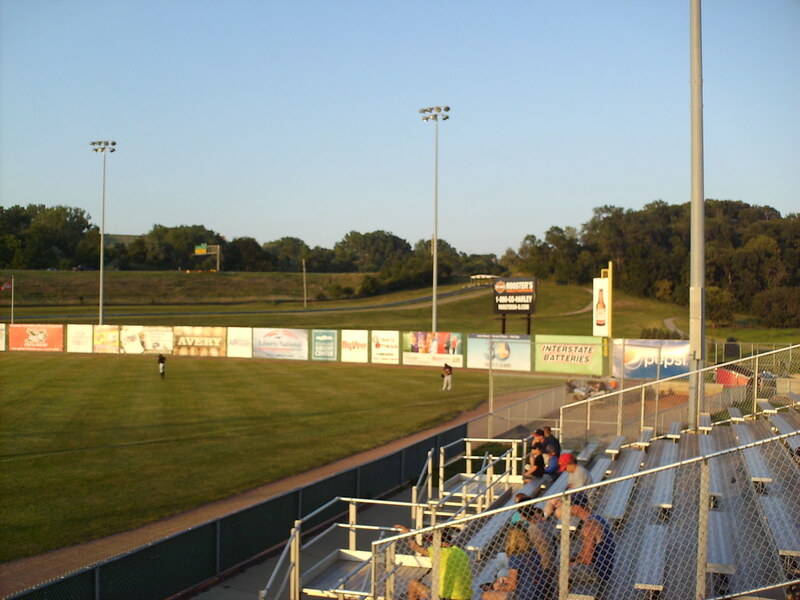 A small aluminum bleacher section sits down the first base line. 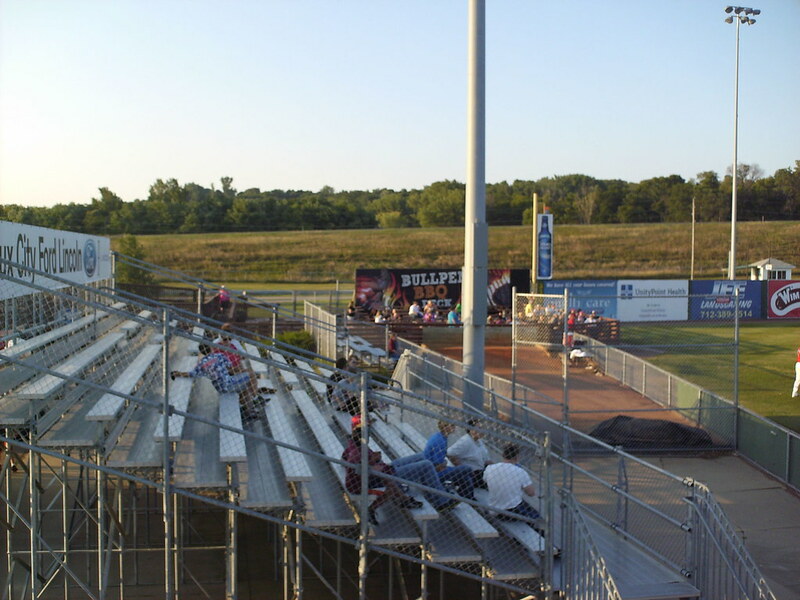 A larger aluminum bleacher section sits down the third base line, with the home bullpen behind it. 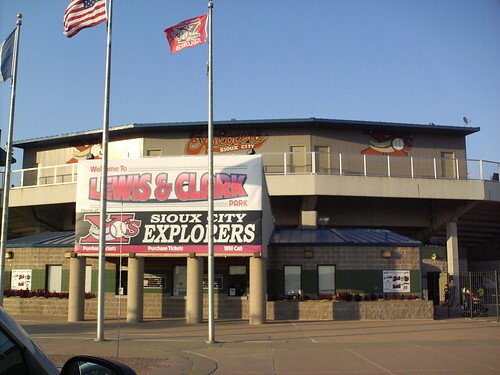 A wooden party deck and a children's play area in the left field corner of the ballpark. 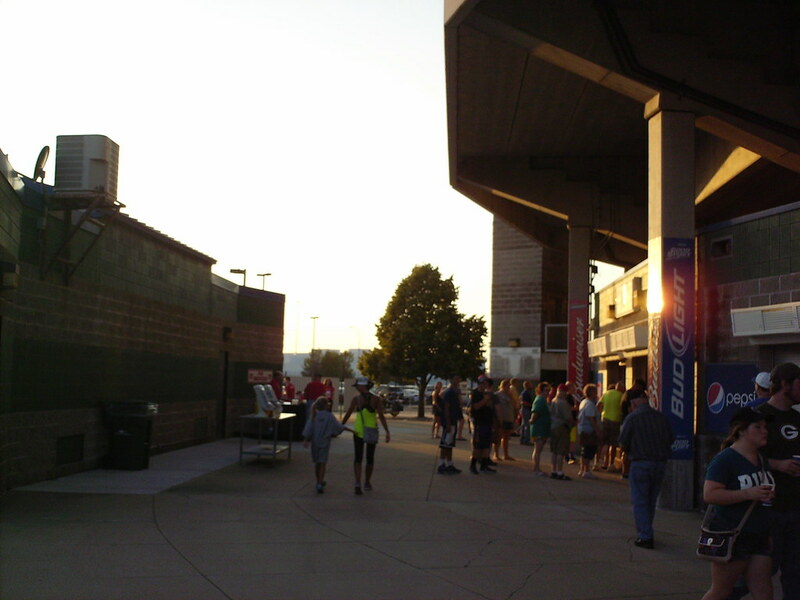 The main concourse, behind the seating bowl, at Lewis & Clark Park. 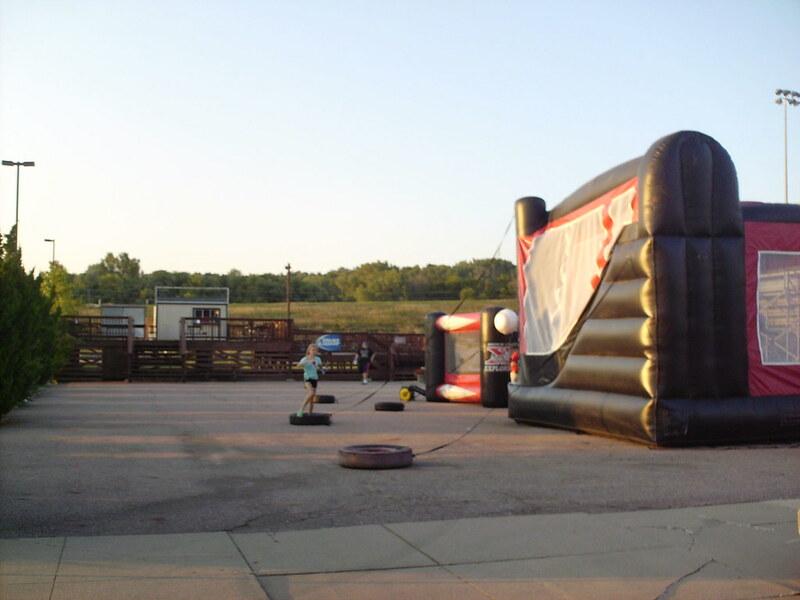 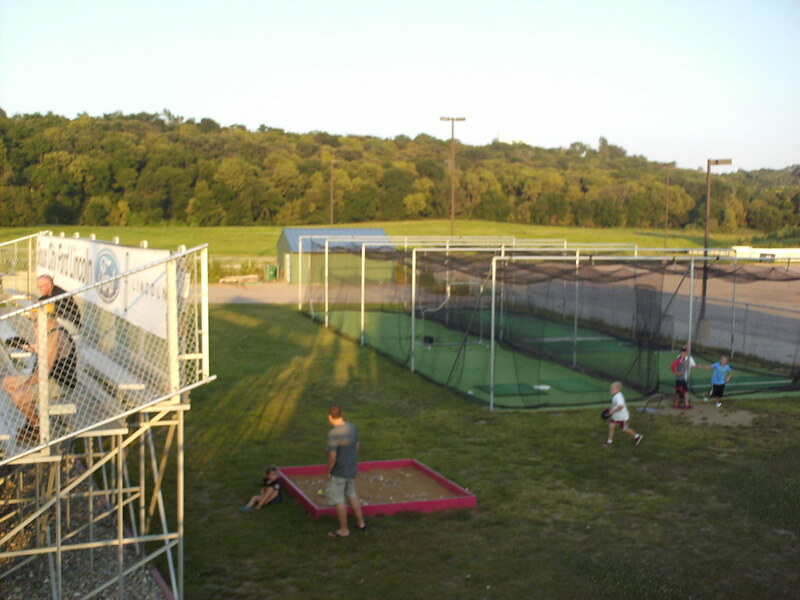 Batting cages and a sandbox behind the first base bleachers. 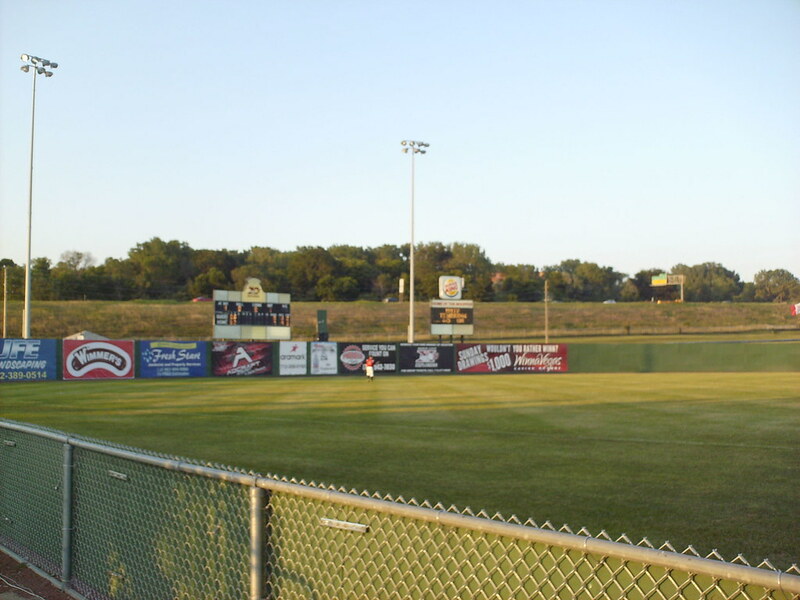 The visitor's bullpen sits behind the fence in the right field corner. 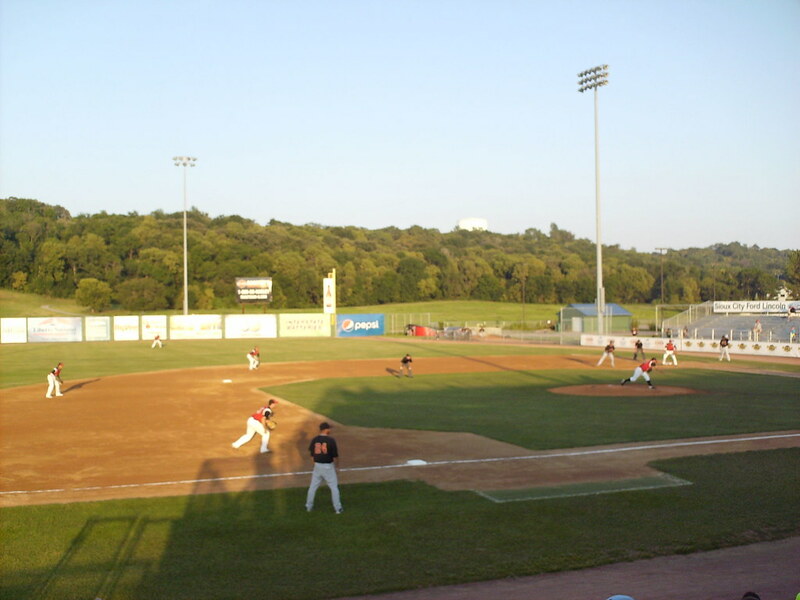 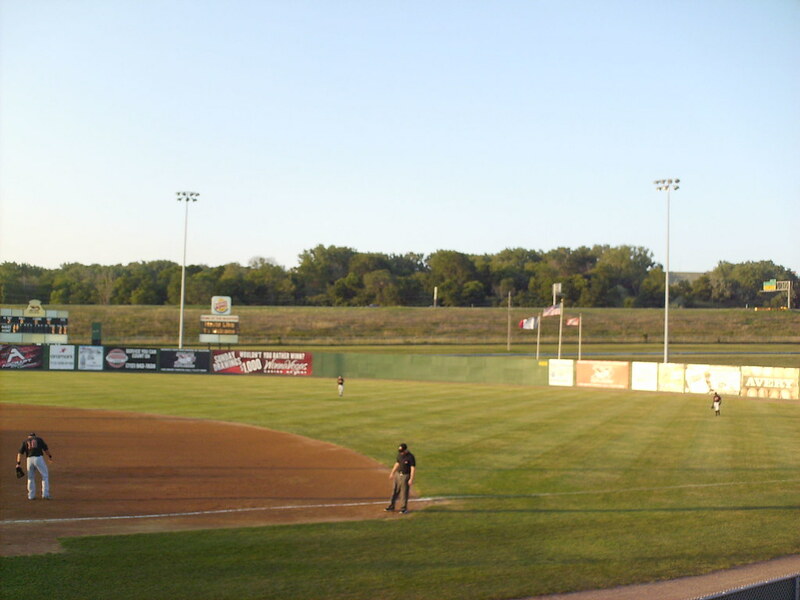 The uniform outfield wall, with Interstate 29 running behind the field. 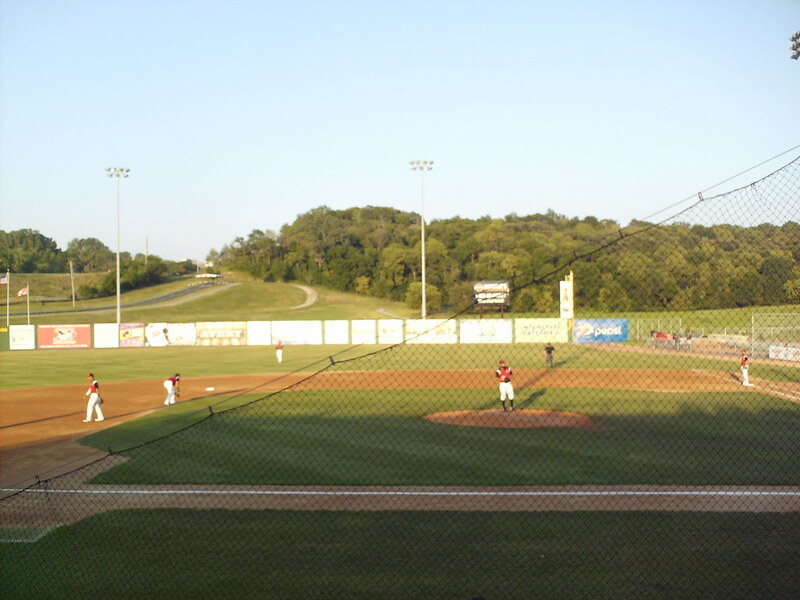 The scoreboard sits behind the left field wall, with a small message board beside it. 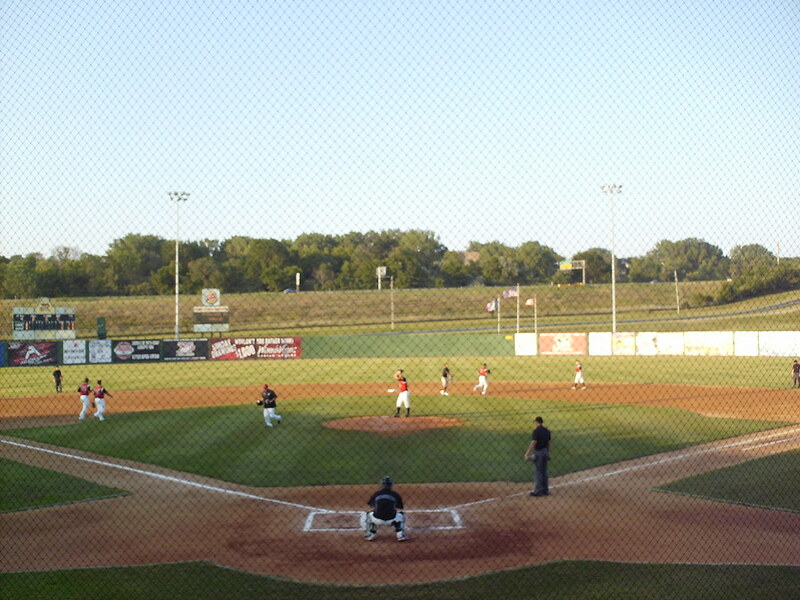 The Sioux City Explorers on the field during a game at Lewis & Clark Park.